Google's upcoming flagships Google Pixel 2 and Pixel 2 XL are expected to launch in the company's October 4th event as per the official teaser from the company. The Pixel 2 and Pixel 2 XL will be the successors to the last year's Pixel and Pixel XL smartphones. Both the new smartphones will feature a new design and will have the latest Google Android OS out of the box. 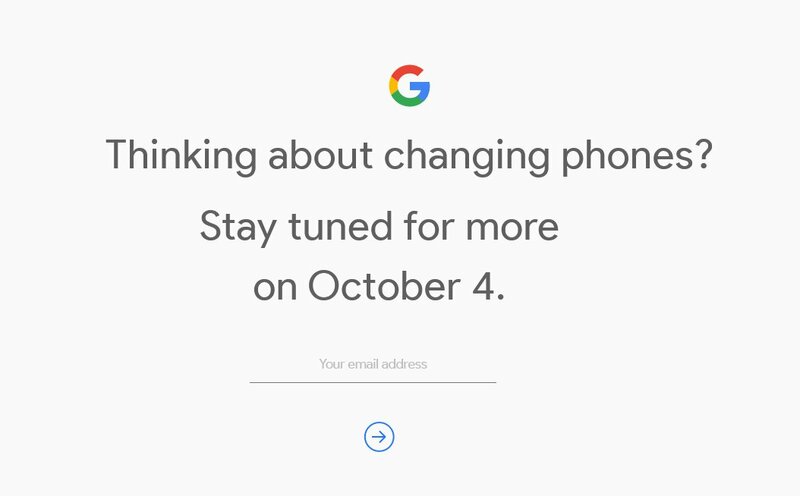 Google's teaser page says that, "Thinking about changing phones? Stay tuned for more on October 4th" that hints towards the launch of the new Pixel flagships. The Pixel 2 has already received the FCC approval few days back that confirmed that the new Pixel 2 will be made by HTC and will feature the Edge sense feature that was first available with the HTC U11 smartphone. Screenshots leaked by FCC approval of the device also confirmed that the new Pixel devices will have 64GB inbuilt storage option and will also have other storage options as well. The leaked inner screenshot from the Pixel 2 further confirms that the new Pixel device runs on the Android 8.0.1 OS out of the box and comes with the model number G011A. It also confirmed that HTC will be the manufacturer of the Google Pixel 2 smartphone, however, the documents doesn’t have any images from the device and other specifications of the device. 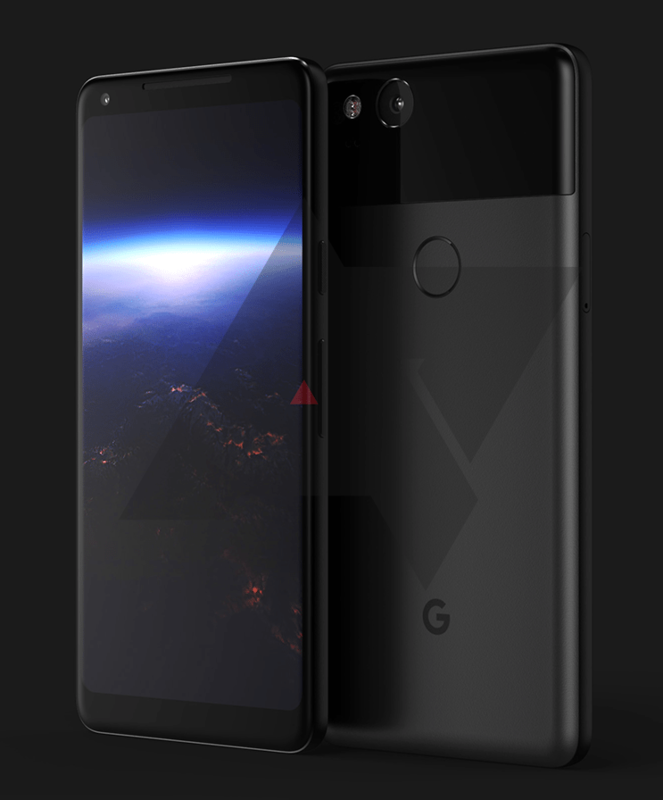 The Google Pixel 2 and Pixel 2 XL were previously leaked in renders and the rumored specifications of both the new devices were also got leaked online. The rumors claimed that the Google Pixel 2 XL 'code-named Taimen' will feature a 5.99-inch QHD LG AMOLED display that will carry a 1440 x 2560 pixels resolution and will be powered by the 2.45GHz Snapdragon 835 or 836 processor with Adreno 540 GPU. It will have 4GB of RAM and 128 GB of inbuilt storage capacity. It will have a single rear camera with dual LED flash and will have a fingerprint scanner on the rear side. The smaller Google Pixel 2 smartphone 'code-named Walleye' will feature a 4.97-inch AMOLED QHD display and it will also be powered by the 2.45GHz Snapdragon 835 or 836 processor with Adreno 540 GPU. It will have 4GB of RAM and 64 GB of inbuilt storage capacity. It will have a similar design like the current Google Pixel with large Bezels. It will also have a single rear camera with dual LED flash and will have a fingerprint scanner on the rear side that will also be out of the black window just like its bigger brother. The device will have a bigger battery as compared with its predecessor.The Google Pixel 2 will ditch the 3.5mm headphone jack for the set of stereo speakers.